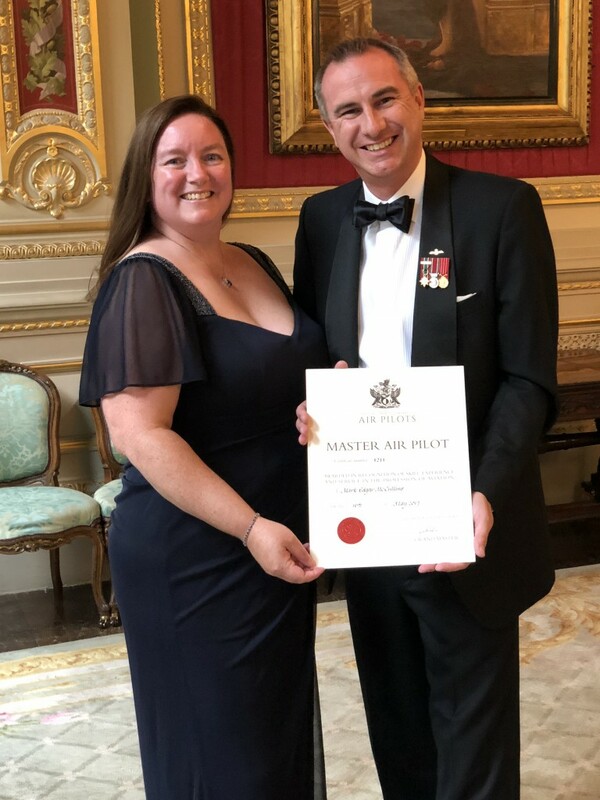 Mark McCullins received the award at the Honorable Company of Air Pilots Livery Dinner in London on May 24. He is seen here with his wife, Kathy. 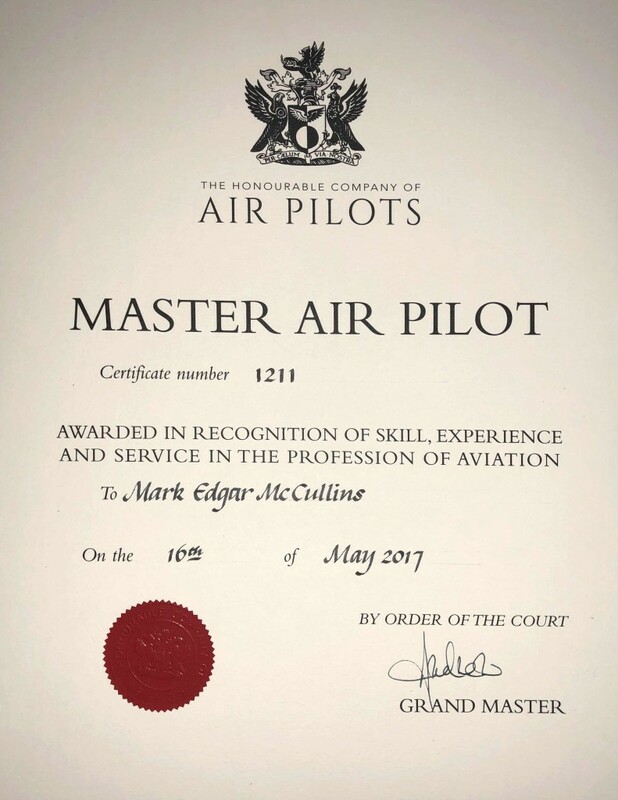 Airbus Americas Chief Test Pilot Mark McCullins has been awarded a Master Air Pilot certificate by the Honorable Company of Air Pilots. This accolade is reserved to only the most experienced pilots who have displayed an excellence of service in their aviation career. As Chief Test Pilot at the Airbus Americas Final Assembly Line, he oversees the test flight and delivery operations of the A320 family of aircraft. This recognition follows Mark’s extensive career as a pilot, which includes 20 years in the Royal Canadian Air Force and a diverse history with Airbus serving on projects such as the A330 Multi-Role Tanker Transport program and Certification Testing of the Voyager variant for the Royal Air Force. After receiving the award, Mark said, “It is an honor to be recognized for work that I have done, which was made possible by the incredible teams that I have had the privilege to work with at Airbus. It is humbling to be included among the 1,227 certificates that have been awarded to date. Looking at the list of former recipients, I am reminded of the risks they took, and the sacrifices they made, to make aerospace what it is today. As we lead Airbus into the future, it is important that we honor those roots and continue the pioneering spirit of our predecessors! Mark has accumulated more than 5,000 hours on more than 50 aircraft and he holds FAA, EASA and Canadian licenses. His expertise and love for aviation is what eventually pushed him to pursue a PhD for which he is currently conducting research involving human factors and advanced flight deck systems. To learn more about the Master Air Pilot certificate, please visit: https://www.airpilots.org/about-the-company/trophies-and-awards/map/.